The story of Passover, as told in the Bible, is a stirring narrative. And, knowing that Passover is the celebration of the Exodus from Egypt, one might reasonably expect that the Haggadah would retell the story, using the Biblical text as its foundation. You may be surprised to learn that the Haggadah is actually a rabbinic text, much more than a Biblical one. That’s why, on careful reading, the Haggadah appears to be relentlessly male. So too much of Judaism. Until this generation, prayer and Torah study were traditionally been depicted as masculine activities. The most famous Biblical stories are about men. Even God is referred to in masculine language. Women are in the Haggadah, as we are in Torah, often just beneath the surface. Some years ago, when the absence of women in the Haggadah first struck me, I went to work, researching the question - Where are women in the Haggadah? I poured over dozens of Hagaddot to find any reference to women or to feminine images. I found many. And for years at our family Seders, I would share the nuggets I culled from many Haggadot. My favorite, one I repeat every year, is a commentary connected to the fourth of the Four Sons. In response to the fourth child, the one who does not even know how to ask, the Haggadah says, at p’tach lo, you must open it for him, you must begin at the beginning, by explaining everything to him. The Hebrew word at (aleph tav) is the feminine form of the pronoun you. Given the maleness of the Hagaddah, it ought to catch our attention that the word at is used instead of the expected atah, which is the masculine form of the pronoun meaning you. By using the feminine form, the Hagaddah is hinting that we should approach this particular child, the one who cannot even formulate a question, as a woman might, with the classically feminine qualities of gentleness, warmth and understanding. This is just one example of how the feminine does appear in the Hagaddah and in the Passover story, requiring one to dig a little deeper than the surface level. That isn’t all this Haggadah does. But, in my opinion, it’s the most innovative part. And I especially appreciate that Rabbanit Berkowitz sticks to traditional commentaries as she highlights the connection between women and the Passover story. An example of her style is here, in a comment she makes at the point when the Haggadah introduces the blessing for the maror, the bitter herbs. Note that she includes the foremothers in her comment. 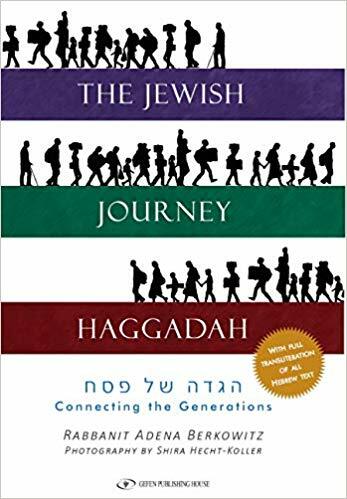 At 249 pages, The Jewish Journey Haggadah includes much more than a focus on women in the story. 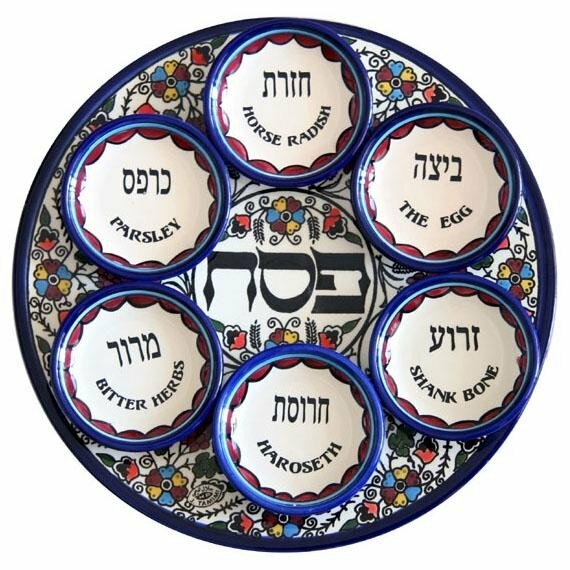 Other features include discussion questions intended to elicit conversation at the Seder table, humorous tidbits, ideas for keeping children engaged at the Seder, deeper insights from a wide range of traditional Jewish sources and more. That’s certainly a worthy goal. But for me personally, if it only included the nuggets that restore women to our rightful place in the Passover story, Dayenu! Is it appropriate to invite a non-Jew to our Seder? See answers from Orthodox, Conservative and Reform rabbis here.